The students with intellectual disabilities in the special education schools have limited access to sports exercises and health care services, which lead to their poor health and low standard sports performance. They are the most marginalized group and the students in regular schools are hardly aware of their existence. These youth in the mainstream education system are also lack of knowledge in how to treat those peers with intellectual disability with fairness and respect. First, we pair a special education school with a regular school. Then we provide regular and systematic football trainings for the students with and without intellectual disability from the two schools to exert positive impacts on their physical and mental health. Unified trainings will create an inclusive environment that enables the students with and without intellectual disabilities to have equal access to sports and play unified on the same field. Unified schools football trainings will create an inclusive environment for the students with and without intellectual disabilities by providing them with regular and systematic exercises and the opportunities to play unified on the same court in pursuit of sharing happiness, making friendship and enhancing health. Through sharing their stories on social media, more people will join the good course and build up good models for the future followers. They trained 3 times a week over 3 hours at average. The training content includes basic football knowledge and skills. Through regular trainings, the students know about each other and what everyone else is capable of. They made friendship, demonstrated their courage and achieved their personal best through the power of football. They became more inclusive and will educate the others around them to be of more inclusion for the people with different abilities. All the 9 teams will participate in the yearly competition in Beijing in November. 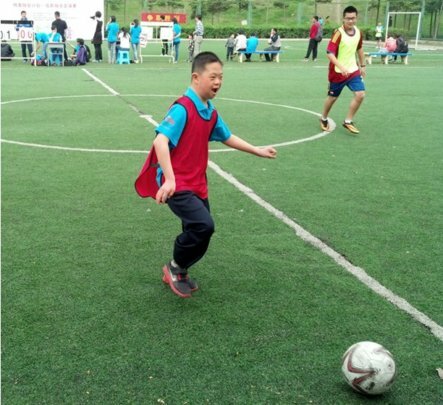 A Football festival joined by 125 Special Olympics athletes and Unified Partners from 15 Unified Schools and 16 Young Leaders who would help to conduct the project in Beijing took place in Yizhuang SoccerWorld on April 12 to kicked off the Unified Schools Football Training Project. Supported by Cityzen Giving as one of the six projects in the world, the project got a lot of help from City Football Group including fund, training, venue resources and etc. The festival consisted of training for the Young Leaders, opening ceremony, dribbling, passing, shooting and goal keeping for the participants and a tournament for the 8 unified teams, award and closing ceremony. Every one had a great time throughout the day. Attached are the highlights of the festival. Special Olympics Unified Schools, an education-based project as an innovative response to unequivocal research that shows that Special Olympics can contribute to promote school communities where all young people are agents of change – fostering respect, dignity and advocacy for people with intellectual disabilities. Special Olympics believes that through sports young people can make a difference in friendships, schools and communities. To promote the concept of “Unified” in educational institutions and provide the students especially from regular schools with opportunities to learn and participate in Special Olympics. To offer skills and experiences on Special Olympics Unified Sports to the students at regular schools and diffuse the significance of Special Olympics being a global movement to transform the society. To provide a volunteer service platform for teachers and students to spread love and civilization so that they could fulfill their responsibilities and obligations to the society. To encourage the communication among people and promote the society unity and integration. In 2014, under the leadership of Mary Gu, Regional President, Special Olympics East Asia was officially included in annual US China Strategic Dialogue People to People Exchange co-chaired by US Secretary of State John Kerry and Chinese Vice Premier Liu Yandong. 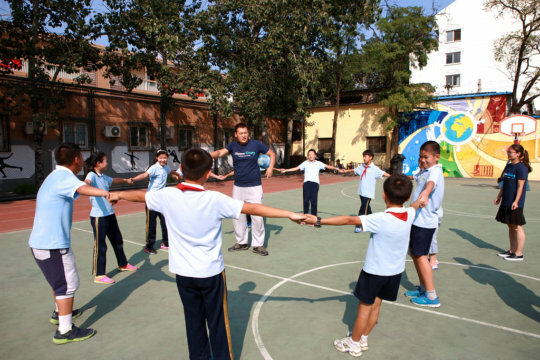 On 10 July, US Under Secretary of State for Public Diplomacy and Public Affairs Richard Stengel announced the launch of Special Olympics Unified Schools in China. The First Lady Michelle Obama wrote a congratulatory letter highlighting Special Olympics as an important exchange between the two nations. By the end of 2016, a total of 62 schools including regular schools and special schools have been recruited as Unified Schools across the East Asia region, such as Peking University, Shanghai Jiao Tong University, East China Normal University, Shanghai Foreign Language School, Macau Baptist College, Taiwan Wu Feng University, Beijing Haidian Special School, Shanghai Minhang Special School and etc. 15 large-scale activities between the pairing unified schools were conducted to benefit 2859 people including Special Olympics athletes, unified partners, coaches, volunteers and fans. 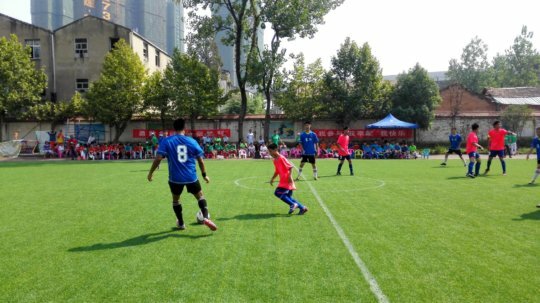 Football, on the other hand, is the most popular sport in the 32 sport disciplines of Special Olympics and is also welcomed among the Unified Schools participants. 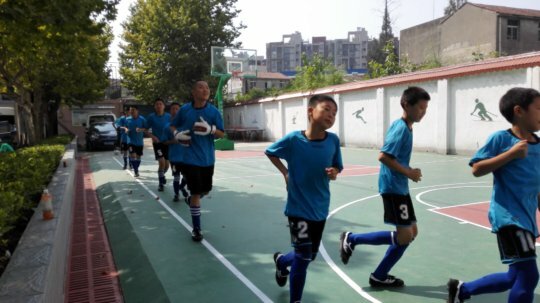 14 Unified Schools in Beijing are to launch Football training in March 2017, which include regular trainings at school(at least 2 hours per week) and a large scale competition that is open to the Unified Schools inside and outside Beijing to enable exchanges, communications and bigger social impact. Through the project, we intend to change people's, especially the school students' attitude toward the people with intellectual disabilities, thus to create a community of more acceptance and inclusion.